This 3-minute introduction to Document Locator shows how a smart office is made more efficient with the help of document management software. 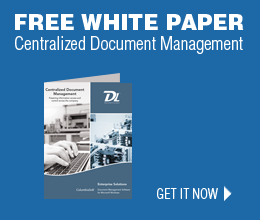 An introduction to the basics of document management and how Document Locator improves the efficiency of everyday office operations are highlighted. A smart office is an efficient office. One that uses document management software. Document Locator makes it easy. Inside the Smart Office, Cathy needs to find a document fast. Using search tools in Document Locator – where files are text searchable – she quickly finds the document she needs. Advanced search tools let her refine searches, so she can find documents by profile values, version notes, owner, descriptions, workflow status, and more. Gone are the days of thumbing through filing cabinets. What used to take 5 minutes or more, Cathy can now do in just seconds. Search is just one of the many capabilities in Document Locator that makes for a smart office. And with Microsoft integration, Document Locator is easy for Cathy - and everyone in the smart office. Built right into the familiar Microsoft Explorer view, Document Locator appears just like a shared network drive. Folder and file operations makes it as easy as Windows to navigate and explore. Cathy can import her documents with a simple drag and drop, or copy and paste. Plus, document management operations appear right where she gets most of her work done. Menu commands inside Microsoft Word, Excel, Outlook, PowerPoint, and other business applications used every day, make it easy without having to learn something new. And when Cathy needs to get an older version of a document, that’s in Document Locator too. With a right-click on any file, she can quickly access a complete version history. Everything is saved and easily retrieved, including version notes, changes, approvals, and more. The Check-in/Check out process automatically versions all documents, making sure that everybody knows which is the most recent version. Cathy and her co-workers can see if a document is checked out by a red check mark that appears over the file, along with the person’s name in the checked-out column. When checking-in documents, version notes can be added, PDFs created, notifications can be sent, and even workflows can be started to put documents in a review process. And Cathy can also enter profile and property information… metadata values that provide additional details about a document. Metadata makes it easy to find and organize information, and improves automated decisioning – saving Cathy even more time. These are only a few of the capabilities that make Cathy’s office a smart office… and an efficient one too. Document Locator includes everything that’s needed to turn any office, no matter the size or business, into a smarter office. See more ways Cathy and her co-workers use Document Locator in our Smart Office videos. Contact us, and we’ll schedule a demo for you and your team.